On Sunday October 21st, girls filled up Calihan Hall on the campus of University of Detroit Mercy early in the morning. Girls, parents, and coaches were standing in line waiting for the doors to open as they were anxious and excited to kick off the 32nd annual Cheer Competition. Teams came in on buses to make their grand entrance into the competition. 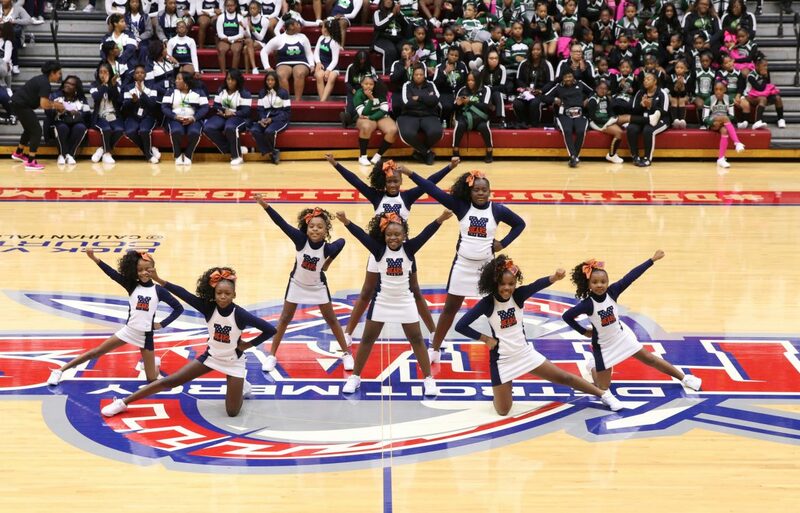 The cheer competition is a huge event for Detroit PAL and it always brings out a good crowd. This year was no different, as Calihan Hall was filled with cheerleaders, fans, and coaches as everyone came out to enjoy a great competition. Teams from different organizations in PAL had the opportunity to participate and showcase their abilities and talents in front of a panel of judges. These girls, from age 5 to 14, have been waiting for this day since the cheer season began. It was a hectic week for teams as they were preparing for this day. All the teams who participated did an amazing job and gave the audience a show to see. Congratulations to all the teams who participated and received awards at this year’s competition. We can’t wait to see you all next year.